¡Hello! I share this article that I wrote when I had the opportunity to visit this marvel of work that allows us to immerse ourselves in the spectacular landscapes of a part of the Venezuelan Andes. ¡I invite you to meet it! 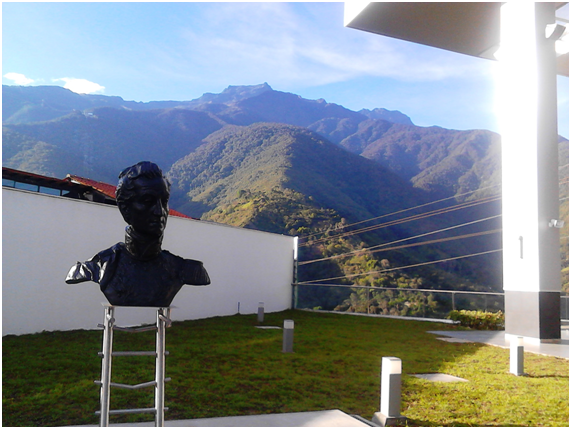 The Sierra Nevada (Snowy Mountain) of Merida state was not always known as such. 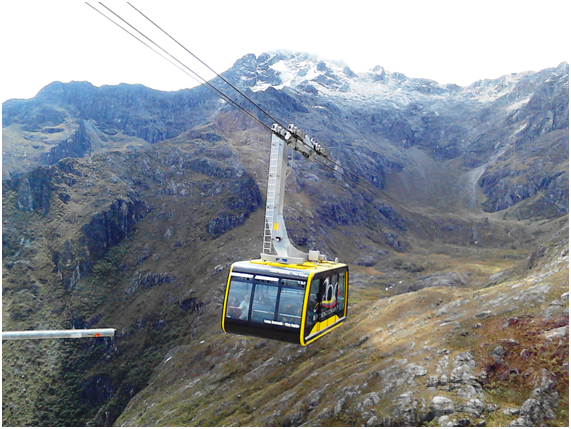 For its first inhabitants, its name was “Mukumbarí”, which means in the indigenous language, “place where the sun sleeps”, and is what is now called the new Cable Car System in this city of the Venezuelan Andes, which is the highest and longest in the world. Due to all these novelties, Mukumbarí, more than a cable car, is the largest theme park in Latin America. In the heart of the city with handicrafts, typical Andean food and drinks and varied recreational activities, is located the “Plaza de Las Heroínas” (Heroines Square), honoring those woman that helped The Liberator Simon Bolívar in the independence struggle. 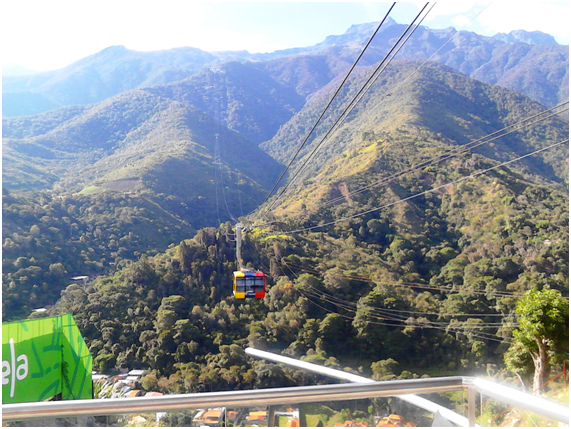 It is the prelude to the new experience visiting the Mérida Cable Car System: Mukumbarí, which was constituted as a tourist icon of this state since it was opened in 1960. 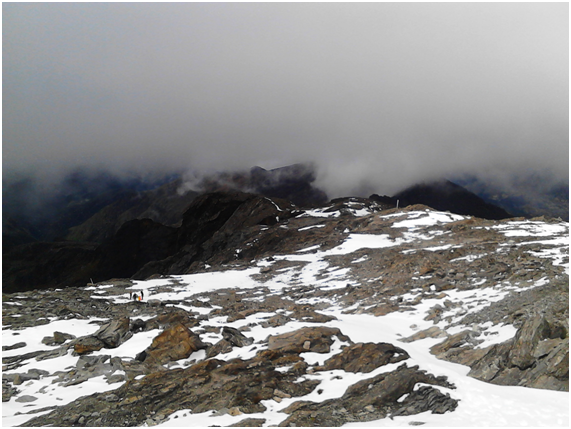 Now, after six years of total reconstruction after being closed for having completed its useful life, it returns to offer the people more than a simple ticket to the 4,765 meters high Pico Espejo. 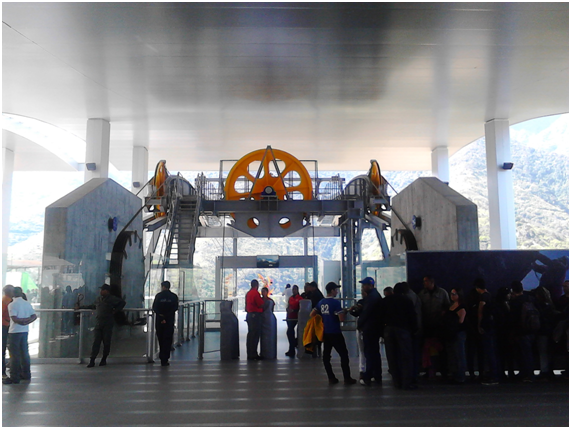 Just when entering the base station Barinitas, the beautiful open architecture of the structure allows to visualize the mountainous area. Tickets can be purchased at the six authorized ticket offices and now we can go to the stations: La Montaña, La Aguada, Loma Redonda y Pico Espejo. When we read that more than 3 thousand people were working under extreme climatic conditions, with winds above 45 km / hour, and temperatures of -10ºC and a state investment of more than 680 million dollars, we realize the magnitude of the work. 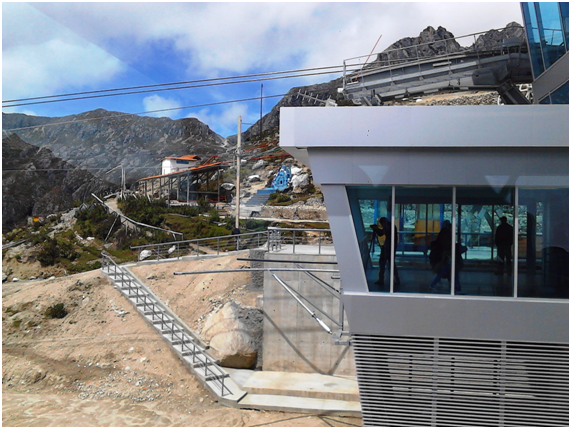 This explains why this Cable Car System is the only one in the world that combines such height (4,765 meters) and length (12.5 km). But before starting the adventure of Mukumbarí, the base station, Barinitas, it also has shops and a gastronomic fair for the visitors. Among the commercial premises is the official establishment of the cable car, where you can buy souvenirs like t-shirts, cups or notebooks and other stores that offer textile and craft products. The concept of the new Cable Car System is that each station is a theme park. 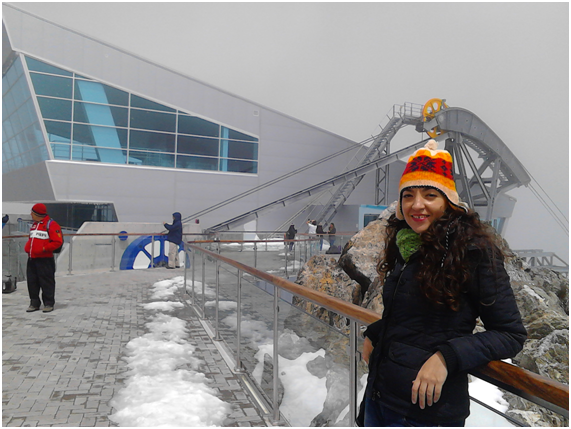 Sharing the experience of being in contact with nature, bringing out the spirit of adventure, the architectural design is integrated into the mountain, the stations are closed metal structures with panoramic glass that allow one to contemplate the beauty of the environment. Before, they were just passing stations, where there was not much motivation to look around. 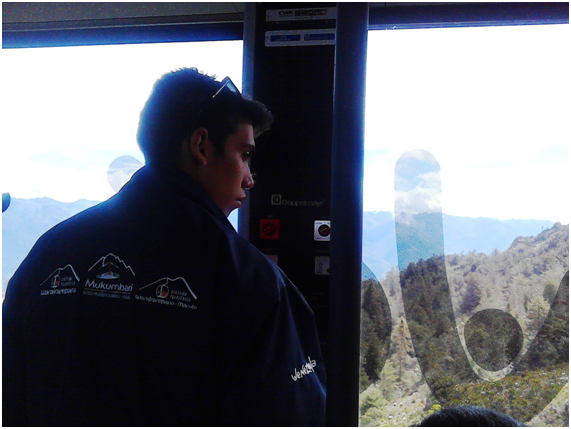 The motto of the Mérida Cable Car System, “Mukumbarí: the new experience”, is not in vain. From the first to the last station, there are more than 40 recreational possibilities for all tastes, from nature tourism to knowing the biodiversity of the Sierra Nevada National Park observing a great variety of birds or frailejones, typical plants of the Venezuelan paramo; activities such as low, medium and high mountain hiking; adventure tourism with Railways, rock climbing and free flight (paragliding or icaro); to tourism of social inclusion, for example to know the way of life of towns like Los Nevados, one of the few communities of Merida where wheat is still planted and processed. At the base station, Barinitas, just before boarding, everyone’s expectation is great. The staff welcomes you with the kindness that characterizes the local people, and informs you that the capacity of the cabin is 60 people, 40 seated and 20 standing and that you have to hydrate constantly to avoid AMS or altitude sickness and if someone gets sick, all the stations have medical service. It is also reported that alcoholic beverages and cigarettes are banned and it is urged to care for the areas of the National Park Sierra Nevada, generating the least amount of waste to reduce environmental impact. People enter anxiously and when the cabin manager presses the button and the doors close, all look forward to enjoy the journey in silent cabins without turbulence and going at a speed of approximately seven meters per second. The city and its noises have been left behind, you start to see several marked trails in the mountains and passing through the first of the nine impressive towers that connect the Cable Car System, the cabin falls as if in a vacuum, causing the emotional cries of children and adults. “Look, we’re flying”, says a little boy to his father, while laughing, a girl is entertained pointing to the course of a river. On the left side are the cabins that make the descent. There are eight in total, four up and four down, two decorated with the national tricolor, two yellow, two blue and two red. 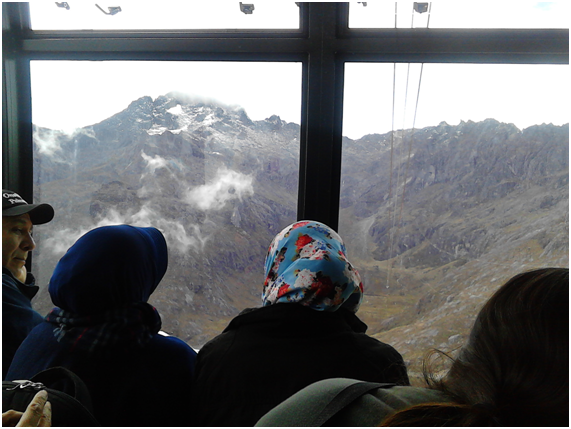 When arriving at La Montaña station at 2,436 meters, it still does not feel very cold and if the sky is clear you can enjoy a splendid view from the panoramic lookout “Ciudad de Mérida” or make the trail of the cloud forest “Camino de Hojarasca”. For children there is a playground and if you want to have something to eat or drink, there are also services. Already up to the third stop: La Aguada, at 3,452 meters, the height is felt in the ears, but that may not matter when from here the view towards the snowy Pico Bolivar, the highest in Venezuela with its 5,007 meters , is getting closer and you can also see when the thaw goes down and turns into water. 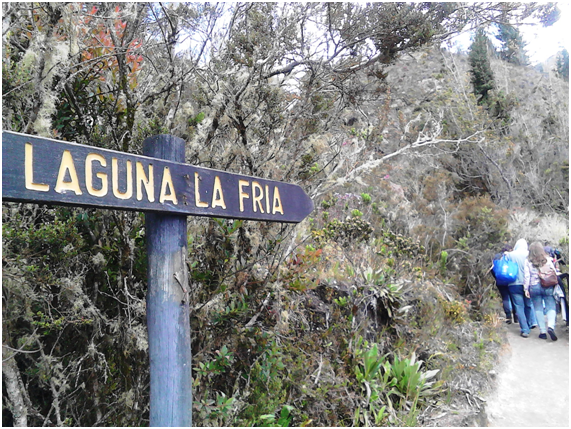 From La Aguada there are more than five trails that can be traversed; there is the free flight platform, the botanical garden of frailejones, the bird watching trail and the lookout “Andean National Parks”, which is reached by a short trip of about 800 meters. 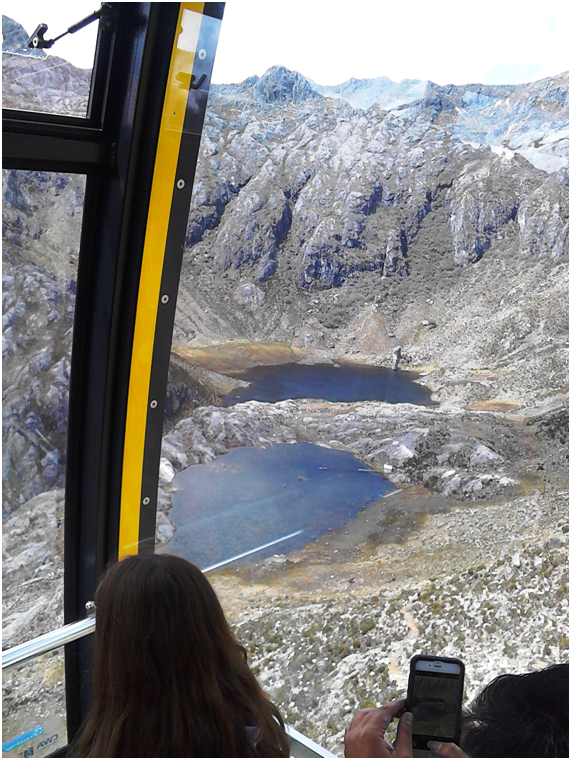 To continue the tour and the cold that is coming, the guides recommend to cover properly before arriving at the fourth station: Loma Redonda, at 4,045 meters, here we are in high mountain territory and this is perhaps the most adventurous stop of the Mukumbarí Cable Car System, because it combines activities such as rock climbing, mountain bike ferrata routes and horseback riding circuits. 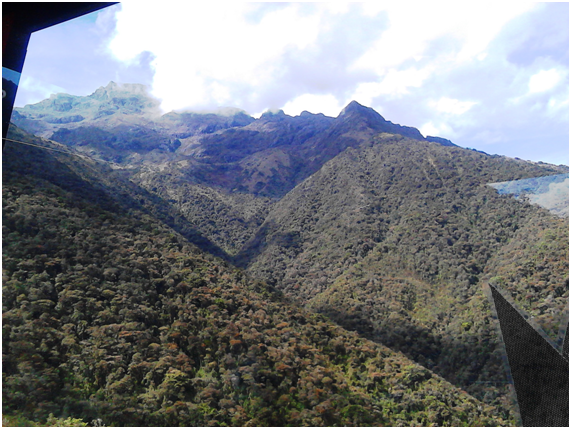 It is now only necessary to ascend to the fifth and last station, but the route still has surprises between Loma Redonda and Pico Espejo, so do not take your eyes off the panoramic windows of the cabin. Not only is there more snow on all sides, suddenly on the right you can see Los Anteojos, two lagoons so called because of their peculiar shape and whose water comes from the thaw that descends from the peaks. Finally the cabin makes its last stop, Pico Espejo, at 4,765 meters. 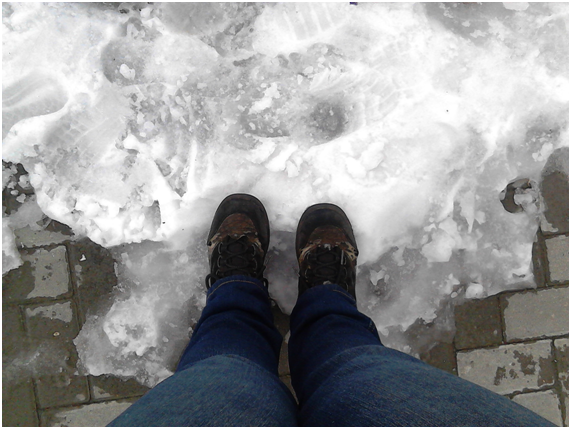 The warmth of the station welcomes the visitors while outside is an intense cold. If during all the route there were no smiling faces, at this point the predominant feeling is euphoria. Regardless of the low temperatures, everyone wants to go out on the road to feel and see the stunning landscape of the Andean Venezuelan mountain range. 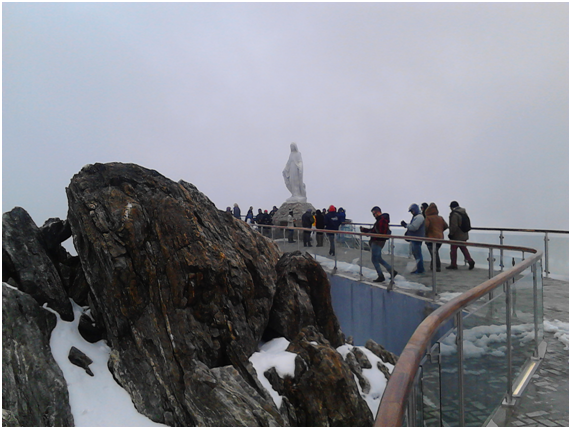 There is the monument to La Virgen de Las Nieves, our Lady of mountain climbers and whether it is clear and has a great view of Pico Bolivar and its surrounding or if the weather is not very friendly and it is snowing, both scenarios are a gain. No one will be disappointed by this experience. From Pico Espejo there is the possibility of several activities, with trails like the Interpretation Park “Climatic Change” or the high mountain to Timoncito, Loma Redonda or the crossing to La Mucuy, besides the via ferratas. 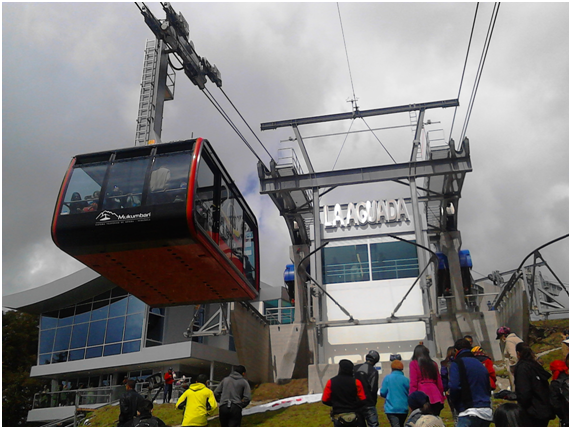 Before its reconstruction, the cable car could only receive 160 thousand people a year, now it will be able to accommodate 500 thousand a year and to complete all the experiences that it offers, one has to come a dozen times. Having seen so much beauty, there is no doubt that thousands of people will be eager to return. ¡THANK YOU FOR YOUR SUPPORT!